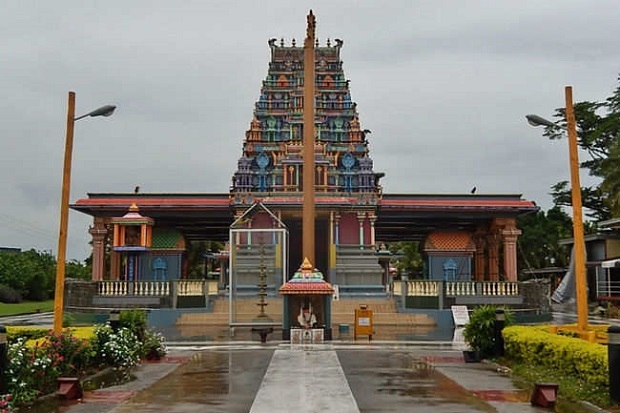 While more than 80% of Indian people belongs to Hindu community there are many Hindu temples situated around the world where few of them are even considered more beautiful than Indian temples. 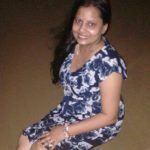 Since the holy month of Indian Mythological Gods have begun (Savan Mas) in which people believes that visiting temples will bring good luck to them, the following list of temples has been prepared for ones who reside outside India. Even many Indians are fond of these temples as they have got special charm and serenity that attracts visitors throughout the year. This temple in district of Carrum Downs of Victoria, Australia is the largest Hindu temple of the state. 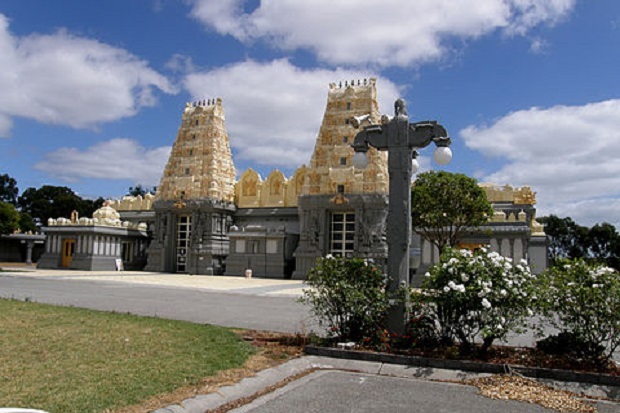 This temple has been dedicated to Lord Vishnu and Lord Shiva and is considered as the most popular temple in Australia. This temple in UK is also a replica of Tirupati Thirumala Temple of Tirupati in India. Dedicated to Lord Balaji or Lord Venkateshwara, this temple was opened in the year 2006 and is the first temple of Lord Venkateshwara in European region. 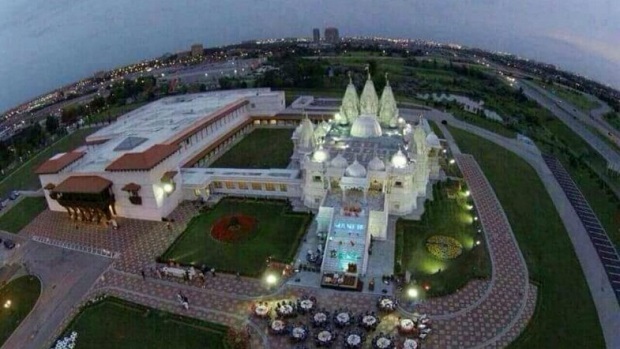 This temple is situated in New Jersey, America and is the largest temple in America covering about 162 acres of land. 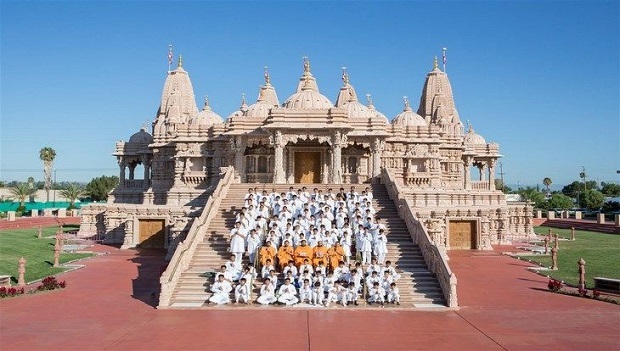 This temple is dedicated to Lord Swaminarayan and is based on two gigantic temples of Gujarat and Delhi in India. Yet another beautiful temple in America that occupies an area of about 30 acres of land. More than 1300 craftsman and 900 volunteers helped in building this beautiful creation where 34,450 pieces of stones, 4300 tons of Turkish limestone, 4500 tons of Italian Carrara marble and 3500 tons of Indian pink sandstone were used. 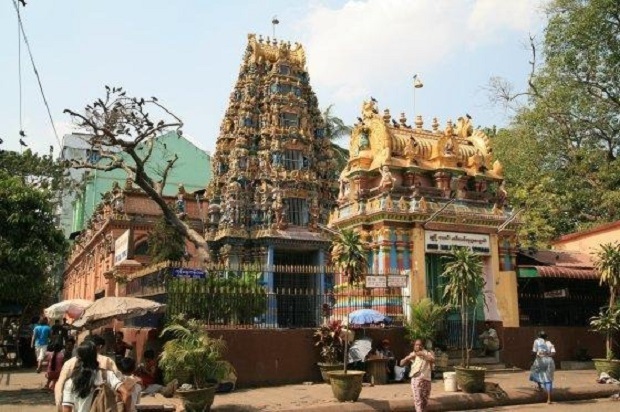 This divine temple of Burma is located in Yangon where little India resides. This temple was built by migrants from Tamil in 1871 when Burma was a part of India. This temple is famous for its colorful architecture and carved roofs that depicts portraits and images of many Hindu Gods and Goddesses. 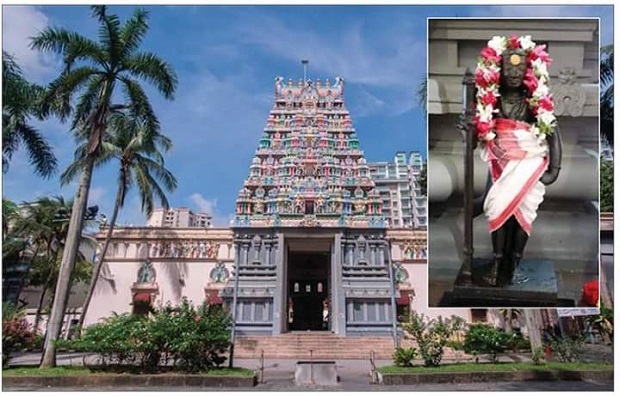 This temple of Singapore is also known as Chettiar’s Temple and is one of the most significant temples of Hindu community of Singapore. This temple is even gazetted as a national testament by Singapore government. This temple was built in the year 1859 by Tamil Chettiar community and is dedicated to Lord Subramaniam (Muruga). This temple is situated in Southern Hemisphere of Nadi, Fiji. This temple was built in the year 1826 and was rebuilt again to complete its construction in the year 1986. Situated near a Church of Darsait in Oman, this temple is about 30 km from Seeb Airport. This temple was built by Merchant community from Indian state, Gujrat that got settled in Muscat in 1987. The temple got renovated in the year 2013 while providing with all the facilities to temple’s devotees. This is one of the biggest Hindu temple in Southeast Asia and is situated in Central Java in Indonesia. This temple is also the oldest of all that was built in the year 850 CE. Walls of the temple are carved with hands that narrates the story of avatars of Lord Vishnu. Along with it, other famous Hindu legends like Ramayana and Lord Hanuman’s adventures are also carved in the walls of the temple. 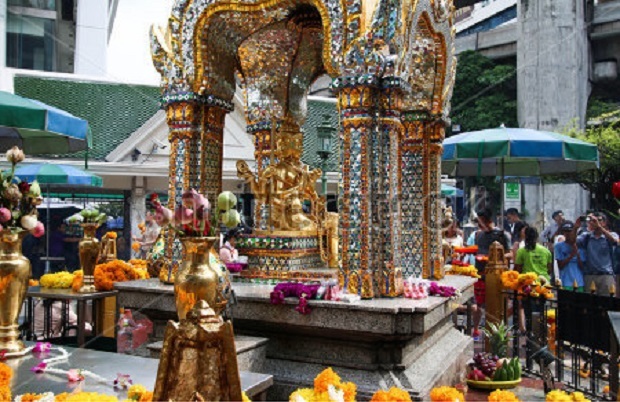 This temple of Thailand, Bangkok has a sculpture of PhraPhrom that is Thai representation of celestial Hindu God Brahma. This temple has Thai influence and is one of the popular tourist spots in Thailand. Decide Yourself: Job or Business? You should add Sri Venkateswara Temple, Pittsburgh, PA, USA to the list. there are many I wanted to add including Sri Venkateswara Temple. But I think that would make this post quite lengthy and lethargic. So I short listed the best according to me.